Akira Nishino insists Japan will take a fearless approach into their clash against Senegal, although warned his side against focusing solely on the threat of Sadio Mane. Both teams won their opening Group H encounters and victory for either in Ekaterinburg means qualification for the last 16 will be assured if Poland and Colombia draw Sunday's subsequent fixture. 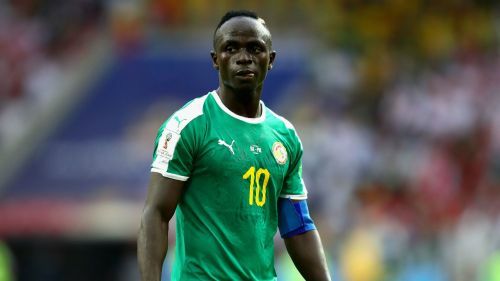 When asked if he had made any special plans to combat livewire Liverpool forward Mane, the Blue Samurai coach suggested it would be foolhardy to ignore the remainder of Senegal's talented team. "All the players, we are giving them information about Sadio Mane and I'm sure [Mane's former Southampton team-mate Maya] Yoshida will be in a situation of a duel with Mane," Nishino said. "So, it's not just Yoshida but the defenders and midfielders are all informed about Mane and we can deal with him but thanks to Mane's contribution, other players might start moving the ball well and that's something we have to be concerned about. "It might be possible to stop him, however, he has an influence on other players and that's what we are concerned about." Nishino, who hinted he would stick with the same starting XI that defeated Colombia 2-1, joked he could do little to address the physical difference between the two sides and insisted there was no fear among the Japan camp. "In the last few days I told my players to grow five centimetres and put on five kilogrammes," he said. "They couldn't do it. So instead we will have to try to win by using the ball well. "We are not fearful of Senegal at all, I'm very much confident of our team and organisation but the impression of Senegal is slightly different from what we see as an African team. "They are not just speed or physicality, therefore against individual players there are things we could do but Senegal has some superstars. "How we're going to deal with them, it will be very tough on us and that is the reason why we have been discussing with my players how to deal with Senegal and rather than being fearful we're very much looking forward to the match and how we're going to beat them and I'd like to show you how tomorrow." With three points safely in the bag, Nishino is giving short shrift to the suggestion Japan would play it safe and seek a draw against Senegal. "At half-time versus Colombia [at 1-1] among the players some were saying 'we've already done it, we can settle for a draw', but I was saying we have to win and we can win," he said. "That's why I gave them the attacking strategy and that's why we're top of the group. We need to earn maximum points even if it's slightly risky, that's what I tell my players. We like to be attacking and we like to win."